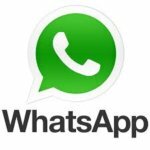 Nowadays lots of people using WhatsApp chat messaging application, because it's an easy way to connect with friends and family members online. Many people using it to manage their office work by creating a group for their office members. If you are in this article it means you also have a WhatsApp account, It started in July 2009 by Yahoo employ Jan Koum, but recently Mark Zuckerberg purchased WhatsApp by paying billions of dollars. 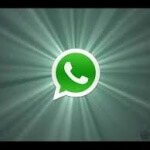 Whatsapp messenger available for all device, you can use it on your android, windows, blackberry or iPhone devices. 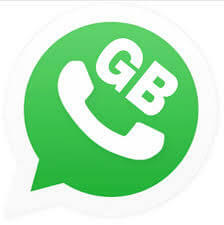 Previously, We were shared GBWhatsapp apk, which is also similar to using Dual WhatsApp accounts. 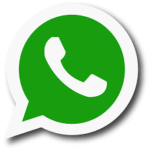 So check out Whatsapp Plus apk now from below for enjoying This Awesome Whatsapp plus apk in your device. Whatsapp plus is same like official application which comes with too many features which I mentioned in below features section. You can do many things with WhatsApp plus which you can't do with the official app, for example, you can hide your online status, and sending large files and much more which you can't do in the official application, so now we are going to describe features section of this amazing application. 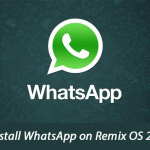 This Whatsapp Plus apk is based on latest version, which you can easily download and install on your device right now for getting many more new features in your Whatsapp Account. 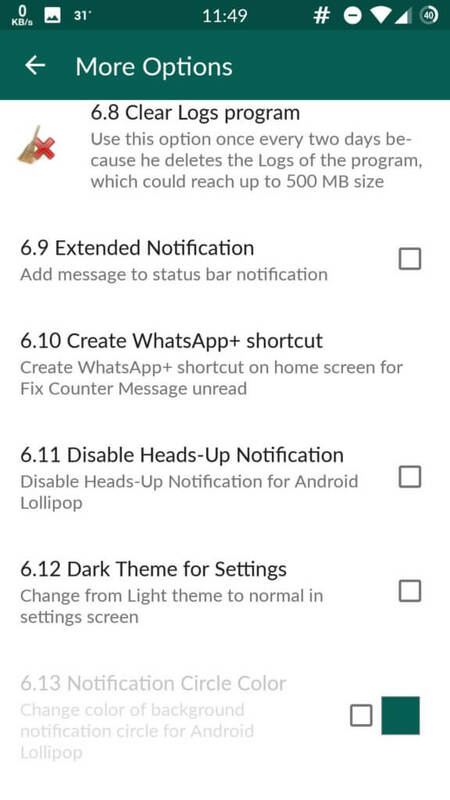 WhatsApp plus app has been updated with some more new cool features. Download them by clicking below. Guys now we are going to share main part of this article. 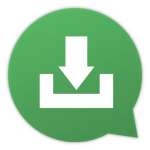 After reading above features section may be you need WhatsApp plus download link. So we also provide you the download link of WhatsApp Plus apk latest version, because there are lots of websites available on Google which provide you WhatsApp plus outdated version link, but in this article we have latest version link, and we also share installing method which can help you to install it on your Android device. Now you need to enable unknown source option of your Android phone because you can't install any third party application before enabling it, so go to your device settings and locate Settings > Security > Unknown Source, now if the is not checked already then check it to enable it. Then click on apk file and install it normally like below Screenshot. After finish installing process, open it, and agree their terms and conditions and enter your Mobile Number in it. It will ask your mobile number, then enter it and it will send an OTP Confirmation code, the best part of this process is that you don't need to copy-paste OTP, you just need to wait 5-6 seconds, it will automatically verify it. Now your are successfully installed Whatsapp Plus on your mobile. You can enjoy the Awesome features of this Whatsapp Plus apk in your Device right now easily with many tricks. 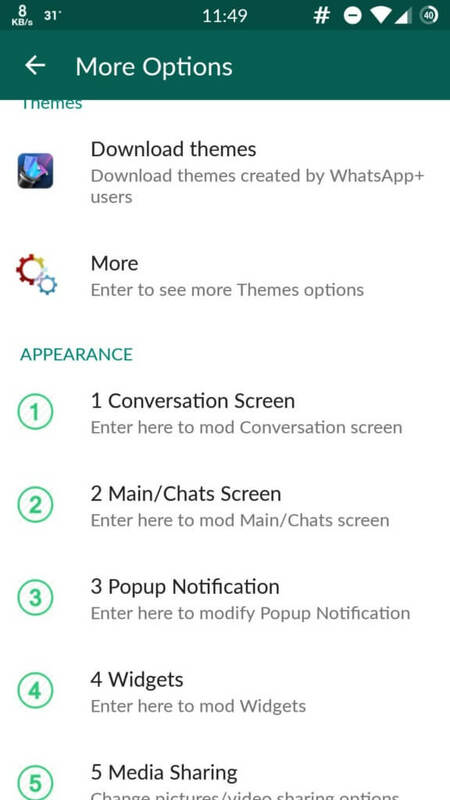 Check out some of the Screenshots of Whatsapp Plus apk now from below. 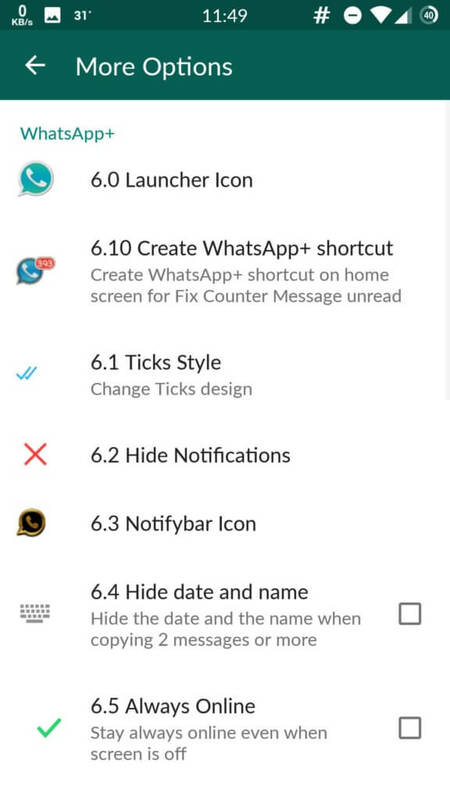 Guys in this section we are going to describe some features of Whatsapp plus apk, and we also compare it with the official app so that you can read all features in this section before download WhatsApp plus apk. So have a look at some of the common features of this app now from below and enjoy this awesome Whatsapp Plus app on your Android device. You can find which messages was revoked by which person. Send or receive payments via UPI (India Only). Now you can deleted sent messages. Send auto reply message to your contacts when you are busy. Based on latest version of WhatsApp. 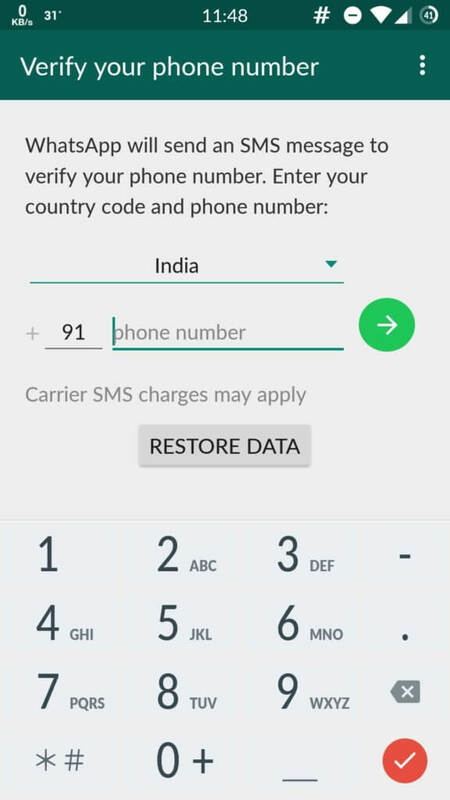 Dial any number on WhatsApp without save contact. Media auto download from Specific group/person. Default it comes with the blue icon, but you can change the icon according to your choice, it is the best feature in it. In default application, you can't send video over 15MB, but in WhatsApp plus you can send 50Mb video files, so it is the best application for those peoples who want to send large video files in their groups. It allows you to send more than ten pictures at the same time, means you can select more than 10 in single time which facility is not available in an official app. You can't change the background color in official app, but in WhatsApp Plus app, you can change your chat background color, notification background color, etc., so you can make your chat background according to your choice by using the amazing feature. When you send the picture in official app, then WhatsApp reduce the size of picture, but in WhatsApp plus you can send the photo in original size, so if you want to share any document with your friends or office staff, then you can send it without losing the image clarity. You can modify themes and UI colors according to your choice, which feature is not available in the official application. So now you can choose the look according to your requirement. And the best part of this feature is that you can also buy some of the paid themes. You can show different status with different contacts, means you can set normal status with your family members, and you can set a romantic status for your girlfriend. So this feature is amazing for most people 😛 . The best feature in it is that you don't need to open your friend's profile for reading their status. You can read their status while chatting with her/him . You can change ticks/bubbles Style according to your choice. Also working in android marshmallow, some of the mod apk apps only work in Android KitKat and Jelly bean versions, but the latest version of WhatsApp Plus apk is also working on Android marshmallow devices. No Ban issue, sometimes you facing ban issues in some modded applications, but it is ban free apk. And much more, which you can see after download and install it. So, guys, this was the complete tutorial of download WhatsApp Plus apk with installing process. So you can follow the above guide and then you can also enjoy their features on your Android smartphone, It is the complete process but sometimes some people facing some errors while download WhatsApp Plus app and installing it. 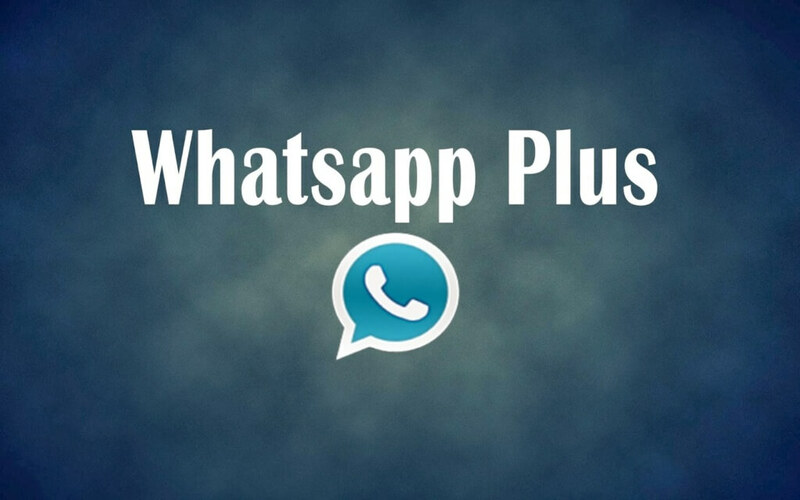 If you also facing any problem while installing and using Whatsapp Plus apk, then you can ask your problem's solution in comments below. Install nhi ho raha h..kiya karu..??? Dono mirror or real dono se Load kiya h..
Or mere Mob me already WhatsApp or gb WhatsApp h..
To kiya whatsapp ko delet karna padega??? no need to delete. it’s working fine in my device. try in another device? Are yaar its working absolutely fine. Just download ES File manager, install it. 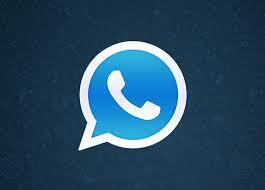 Go inside and go to internal memory, rename Whatsapp into something you like. Go to App in your mobile, clear data and uninstall your original whatsapp and install our Whatsapp+ and enjoy.? Its not downloading..can I get the proper link please!!? Mera bhi nahi ho rha whatsapp plus install dino trh se kr liya es file manager me bhi jaker name change kiya but nahi hua .pls suggest any option how to install whatsapp plus. Watsapp Plus is not getting installed in my phone …..
Downloaded through mirror link but app not installing. does whatsapp gb have updates ??? hello,I can’t install GbWhatsApp on my phone camon C8,please help me to install it!!! how can set normal status and girlfriend status ??? It’s working go through mirror link.. Thanks, its working fine on my old warrior moto g 8GB. Which version of Whatsapp plus is currently uploaded in this page? And does the apk update automatically or do we have to install it manually? this feature is not yet available i think.. I can’t install what’s up plus. Why? 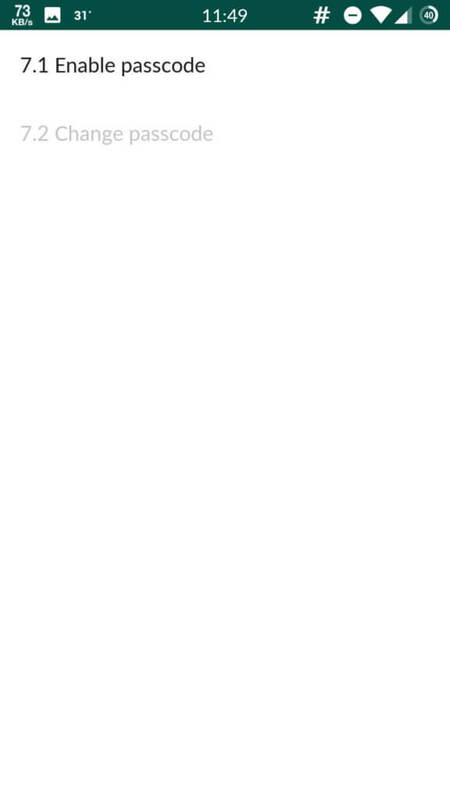 how to add separate status for my chats ? Kya root kiye mobile me Whatsapp plus chalaya ja sakta hai ?? Arsh, I cant uninstall whatsapp in Galaxy S7 Edge, says system app. 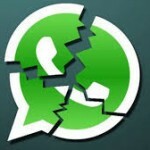 How do i delete whatsapp completely from the phone to install whatsapp plus ? Is Luck Patcher helpful to uninstall it or is there any other way. i want different status for different people…..is it possible..
i want show different status for different people..is it possible.